23. Through what type of vehicle we do see a mechanized unit attacking Godzilla from a bridge? 26. The two MUTOs are giving Godzilla more than he can handle, when.....something happens. What occurs to draw away the larger MUTO? 30. 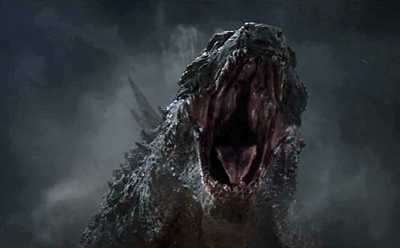 As Godzilla wakes up and drags his old bones back to the sea, he is shown on a video screen that reads "King of the Monsters ___________"